This sensible and practical guide is essential for those seeking an understanding of commerce in energy derivatives. beyond merely informative, this hand book for the practitioner details the finer points of the use of derivatives as tools for price-risk management. No energy trading desk should be without it. - Ethan L. Cohen, Senior Director, Utility and Energy Technology, UtiliPoint International Inc. Professor Tom James has been involved in energy and commodity markets since 1989 and is an internationally know business architect, leading market analyst, and trader in the commodity sector within top tier financial institutions. he is currently Head of Commodity Trading for the firm Liquid Capital (www.liquidcapital.com). before joining Liquid Capital in July 2007, he was acting as an advisor to numerous energy firms in Asia and Europe and prior to this he held positions as Director for the Commodity Derivatives Groups at the Bank of Tokyo Mitsubishi, Director of Traded Energy Markets at Credit Agricole Indosuez and as Asia Pacific Regional Head for Commodity Derivatives at Credit Lyonnais (Singapore). His publications include Energy Price Risk (Palgrave Macmillan, 2003), which has been published in English, Chinese and Russian, Energy Hedging in Asia (Palgrave Macmillan, 2005), and Energy & Emissions Markets (John Wiley & Sons, 2006). He was a contributor to Agribusiness & Commodity Risk Strategies (Risk Books, 2003) and the Professional Risk Managers Association's book on Energy & Environmental Markets (PRMIA, 2007). 1. 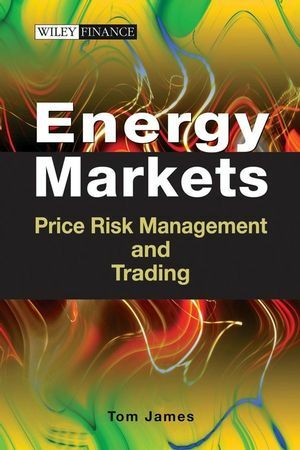 Risk Management in energy Markets. 2. the Energy Derivative Markets. 4. Pricing Middle East Crude n the Next Century. 5. Emissions Trading - Towards a Global Carbon Market. 6. Options Trading and Hedging Applications Strategies. 8. Value at Risk and Stress Testing. 9. Questions to Ask When Establishing a Risk-Management or trading Program. 11. Derivatives Controls & Usage Statement and Control Infrastructure. 12. OTC Derivatives Legal Documentation. 14. Key Technical Analysis for energy Futures Markets. 15. Operational Risk and its Management. 16. A Practical Guide to Credit Control and Risk-Mitigation methods. 17. Accounting for Energy Derivatives Trades.